The Corbett Estate Neighbourhood Forum is all about preserving the old and embracing (the best of) the new. So we’re pretty excited about our next event, dreamed up for us by local digital innovators Stickyworld. 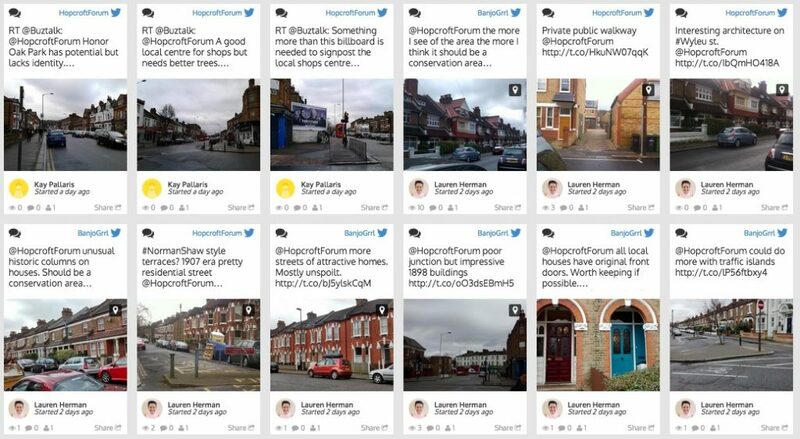 A Twitter Walkabout is a brilliant way to map, photograph and comment on aspects of your local area. After the event, participants’ tweets are preserved on a digital map they can view, share and comment on. If that sounds complicated, don’t panic. You’ll get all the help and guidance you need from our event leaders (for full details of the day’s schedule, see below). And if you’re already a social media and digital whizz, all the better. We’re looking for digital champions to help us spread the word about how the Corbett Estate’s Neighbourhood Forum and Neighbourhood Plan can put power in the hands of residents and make a real difference to Hither Green and Catford South. Our Twitter walkabout is a completely FREE event, but places are limited, so please reserve your ticket at our Eventbrite page here. Head to The Station Hotel, Hither Green, for a well-deserved drink and sit down.